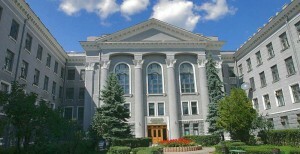 Kharkiv national university of radio electronics is one of the oldest technical university in Ukraine. It has all technical faculties in the field of Computer,Electrics,Electronics,Telecommunications and Biomedical. The university has 9 faculties and 30 different academic departments. The university has cooperation agreements with many Russian and European universities. Interested international students may contact us today directly for the admission process by phone,email or whatsupp and viber for 2018 intake.